WHAT’S UP Y’ALL? AS USUAL YOUR FAVORITE BAD GIRL HAS BEEN MOVIN’ AND SHAKIN’ RAISING THE AWARENESS OF HER NEWEST SINGLE ‘GENIE IN A BOTTLE’ FEATURING J30. THE FIRST STOP WAS IN TORONTO, CA AT THE RENOWNED TORONTO INTERNATIONAL FILM FESTIVAL OTHERWISE KNOWN AS ‘TIFF’. THERE SHE PROMOTED [GIAB] ON SEVERAL RED CARPETS AND SPECIAL EVENTS. MALA AND J30 ALSO LINKED UP WITH TORONTO BASED RAPPERS CHUCK MATHIS AND SSTYLES IN STUDIO FOR A COLLABORATIVE PROJECT TITLED, ‘ONE WAY TICKET’ EP SET TO DROP IN 2014. 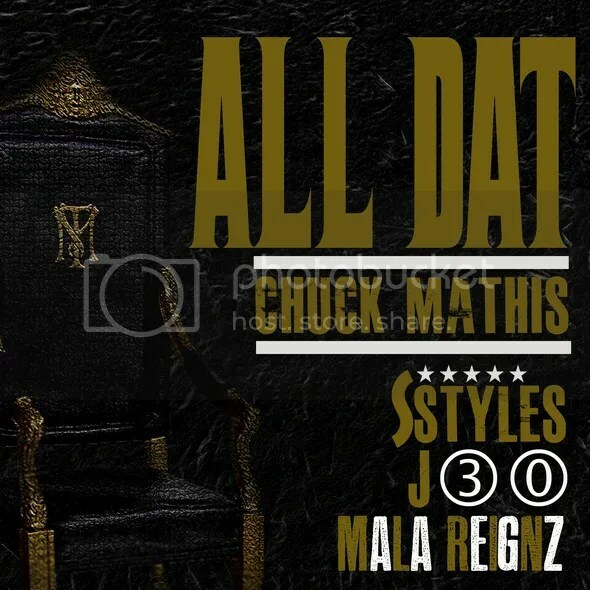 THIS NEW JOINT ‘ALL DAT’ IS THE FIRST PROMO RECORD TO BE RELEASED OFF THE PROJECT. CHECK IT. DOWNLOAD IT FOR FREE RIGHT HERE. THE ‘ONE WAY TICKET’ EP WILL BE RELEASED TOP OF THE NEW YEAR WITH BLAZING TRACKS FEATURING TWO ARTISTS FROM THE STATES (MALA REIGNZ AND J30) AND TWO ARTISTS FROM TORONTO (CHUCK MATHIS AND SSTYLES) ALL COMING TOGETHER TO MAKE FOR ONE SICK COLLABO EP. KEEP YOUR EYES AND EARS OPEN!! MAKE SURE TO VISIT AND ‘LIKE’ THE ‘ONE WAY TICKET’ FACEBOOK FAN PAGE WHERE YOU CAN FOLLOW ALONG FOR NEWEST UPDATES AND MUSIC AND VIDEOS AND SHOWS!! AS USUAL WE AT SCHOLAR MUSIC THANK YOU FOR YOUR CONTINUED SUPPORT OF MALA REIGNZ!!! -HAVE AN ANDROID PHONE? GET THE MALA REIGNZ APP FOR FREE RIGHT IN YOUR GOOGLE PLAY STORE!! -‘MEGA REIGNZ’ THE MIXTAPE IS NOW AVAILABLE FOR PURCHASE ON GOOGLE PLAY! !